SapientRazorfish (formerly SapientNitro) and guest speaker Jacob Morgan, senior analyst at Forrester Research, shared their views on the “Building Your Bank’s Mobile Payment Strategy” webinar, hosted by Banking Technology. Unlike the 1960s, where large banking organisations with many branches and advisors earned competitive advantage, or the 1990s, where affordable computing power allowed upstarts to personalise risk models and offers, we are now in the age of the customer. The launch of the iPhone is now ten years behind us, mobile has become the hub of customers’ lives, and we are experiencing a “mobile mindshift” – the expectation that I can get whatever I want in my immediate context and moment of need. This expectation is evolving from feature-rich apps to “micro-moments” – instances throughout the day where you get an alert, glance at some information, or just touch your watch to approve a payment. Companies who obsess about their customers and these moments, who are customer-led and insights-driven, and who continually innovate, are the ones who will come out ahead. And they aren’t necessarily banks. With Forrester predicting US mobile payments to grow 152% from 2016 to 2021, everyone wants a piece of the market. Many retailers, handset manufacturers, telcos and mobile operators offer their own mobile payment solutions or digital wallets. Services such as Starbucks mobile pre-order, where collecting payment is just one aspect of a carefully designed omnichannel experience, or Uber, where the exchange of money is almost an afterthought, are setting new standards for customer expectations. This trend leaves banks owning the expensive infrastructure that payments run on, while customer relationships are increasingly owned by retailers and other platform providers. So you – and your relationships and even transaction revenue – start to disappear behind other brands’ façades. However, enterprising insight-driven banks are increasingly realising that they, too, can visibly participate in mobile payment solutions and, in turn, nurture their own customer relationships. For example, they use existing platforms to promote personalised offers and alerts, such as American Express GPS-based offer notifications. With technologies such as beacons and NFC, offers can be even more tailored to product and location. Banks can also partner with retailers on loyalty programmes, digital receipts and social media to engage the customer and provide more value before, during and after the point of purchase. Paribus, for example, tracks a customer’s purchases and automatically refunds the difference whenever the product’s price drops; the company was recently acquired by Capital One. Customers don’t want a better payment experience; they want a better shopping experience. And that’s where banks should look to add value when they consider a mobile payment strategy. Of course, these strategies won’t be “one size fits all’. They depend on your bank’s goals, your brand, and of course your regional economy, culture and regulations. Approach your mobile payment strategy with a clear vision that represents a win for customers, merchants and the business alike. Once the vision is established, be realistic about what elements of customer’s end-to- end shopping experience they can control, and focus on improving those. As SapientRazorfish’s Greg Boullin points out, you must first “gain a deep understanding of your customers’ end-to- end spending journey and their behaviours, rather than thinking through the lens of your business or your technology products”. It’s critical to use a mixture of qualitative and quantitative analysis. Armed with a vision and insights, look to enablers such as mobile and emerging technologies, as well as training and operations, to create seamless customer experiences. Don’t go it alone – establish partnerships to deliver real-time or short- term customer gains, and return even more value based on data captured. Once your strategy is established, SapientRazorfish believes that the key to successful delivery is to approach it like an enterprise start-up: engage a cross-functional team to experiment early and often using open, flexible architecture and agile DevOps best practices. Create a plan to improve on what your customers use now by being more rewarding, useful, ownable or social. Helping your bank transform its customer experience and unlock new value begins with understanding your customers’ desired outcomes throughout their end-to-end journey, and the technologies that can enable those outcomes. 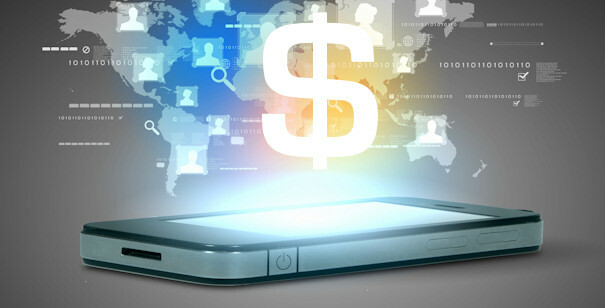 As technologies and customer expectations evolve, so too will your approach to mobile payments. ￼For more details and examples, tune into the free webinar.